I’m always looking for a healthy snack to give my little ones. When these chips arrived my kids were as excited as me to give them a try. As a parent we always look for healthy ingredients to give our kids and ourselves. My kids love veggies and fruit but some times they love to get their little hands on chips. So why not give them something that you are completely happy with? Food Should Taste Good Tortilla come in all different flavors which will keep you, family and friends interested. School is right around the corner so I plan on sending my little lady with these chips instead of other brands. Once you see the ingredients in Food Should Taste Good Tortilla chips you will see what I mean about healthy ingredients. 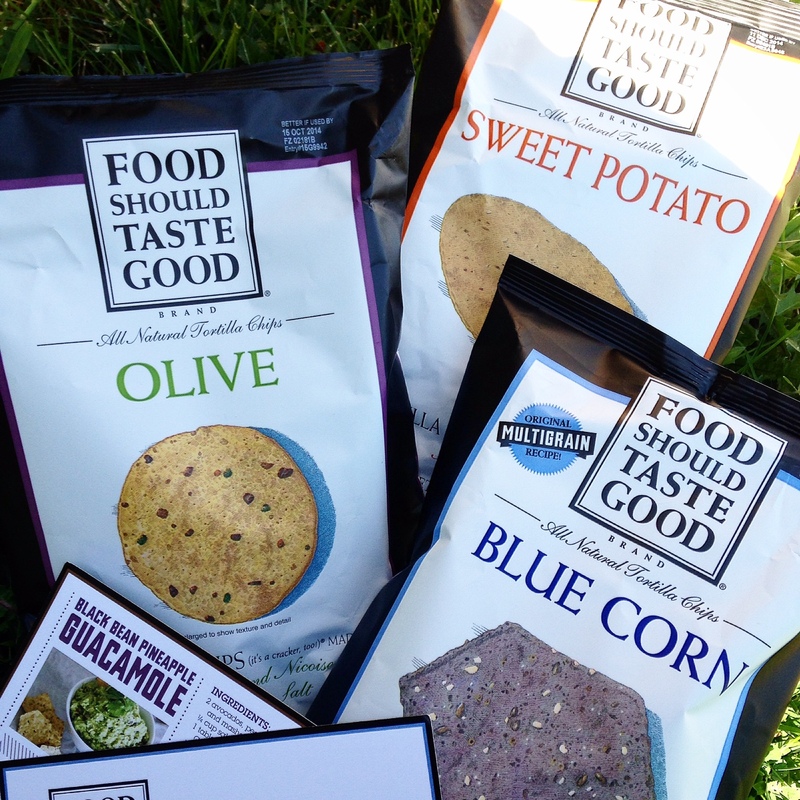 Blue Corn: Its a nutty flaxseed, quinoa and organic blue corn Creating a robust yet versatile chip. I love using this with my jalapeño popper dip, which I will feature in another post. Sweet Potato: This is one of my favorites. The natural nuttiness of the sweet potato in a chip is a riff on a classic baked sweet potato. This is my go to snack in this afternoon if I am craving chips. Olive: A combination of real black, kalamata and green olives offers a genuine flavor. If you love olives this is the chip for you. Goes great with homemade or store bought hummus. Stay tuned for some awesome giveaways and recipes for Food Should Taste Good. Homemade Delish has partnered up with Food Should Taste Good for this post. Previous Post Cooking up Couture! Love their sweet potato chips!